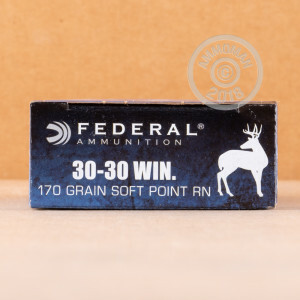 This ammunition from Federal's Power-Shok series is a dependable, relatively inexpensive hunting load for 30-30 rifles. Each cartridge in this case of 200 fires a 170 grain soft point bullet that produces lethal expansion in game without excessive fragmentation and meat destruction. Federal Power-Shok ammo uses non-corrosive Boxer primers and brass cases and is manufactured in Anoka, Minnesota. 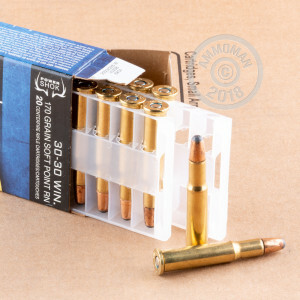 This 200 round case contains 10 boxes of 20 rounds each. High volume shooters love AmmoMan.com's simple S&H policy: All orders over $99 come with FREE shipping!